The sides discussed the reforms in Ukraine and also attracted investments. 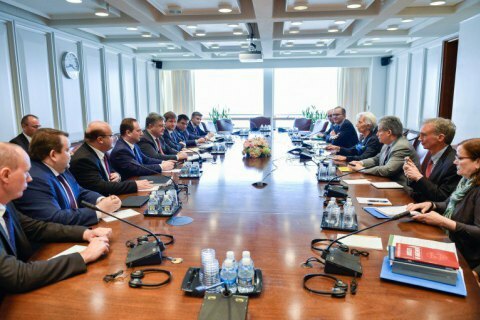 President Petro Poroshenko in Washington on 20 June met with the Managing Director of the International Monetary Fund Christine Lagarde and the World Bank Group President Jim Jong Kim, the president's website reported. 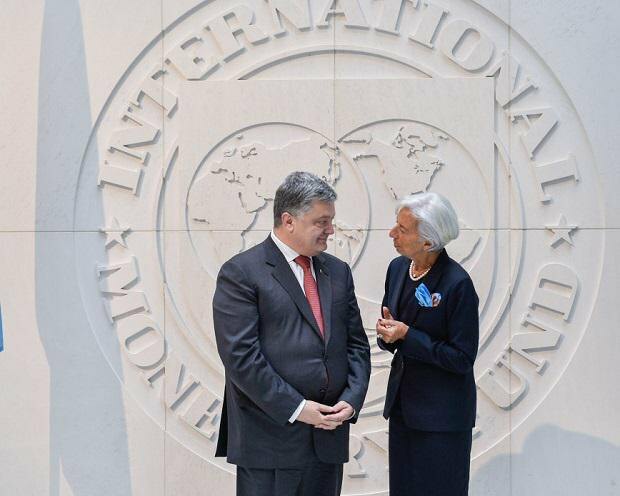 Poroshenko and Lagarde discussed the state of implementation of structural reforms in Ukraine and future steps that should be implemented in the near future. The president also informed the IMF head about the results of a recent discussion of the draft pension reform at a meeting of the National Reform Council. Lagarde noted the importance of a balanced pension reform that would meet the interests of the state and citizens of Ukraine and guarantee fair high standards of social security. The parties also discussed privatization prospects in Ukraine, proper functioning of the banking system, reforming the sphere of public finances and continuing the fight against corruption. 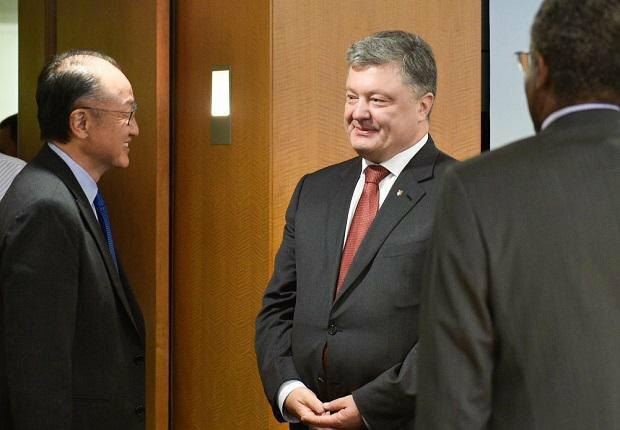 Poroshenko also met with World Bank Group President Jim Jong Kim and briefed him on the reforms in Ukraine and their first results. The two welcomed the recent adoption of the strategic cooperation document for 2017-2021, which is aimed at supporting Ukrainian reforms. Particular attention was paid to more active attraction of foreign investment in the Ukrainian economy. Poroshenko thanked Kim for the constant support of Ukraine. He noted that from the beginning of 2014 the portfolio of the WB group in Ukraine increased almost threefold, or nearly 4.425bn dollars. The increase was mainly due to projects of budgetary support worth 2.25bn dollars. Also, some 2.6bn in new investments were attracted. The World Bank through a new fund of Horizon Capital will allocate up to 20mn dollars in direct investment in Ukraine. On 4 June, IMF approved the draft pension reform in Ukraine. The document provides that in 2018 the minimum insurance period for retirement by age will be raised to 25 years, and will be annually increased by one year until 2028 to reach 35 years. The program envisaged introducing a single approach for calculating pensions for pensioners using the average wage indicator at UAH 3,764.4 (currently from UAH 1,197.91 to UAH 3,764.4) depending on the year of retirement.